Already heralded as one of the best in class to drive, it now appears the latest BMW 5 Series is one of the best performers should you be unfortunate enough to have a prang too, after winning over the crash test experts at Euro NCAP. Launched late last year, it earned itself the full five stars, and continues a highly successful track record for the brand in the safety stakes; it demonstrated impressive all-round performance in not only crash protection testing, but avoidance tests too. 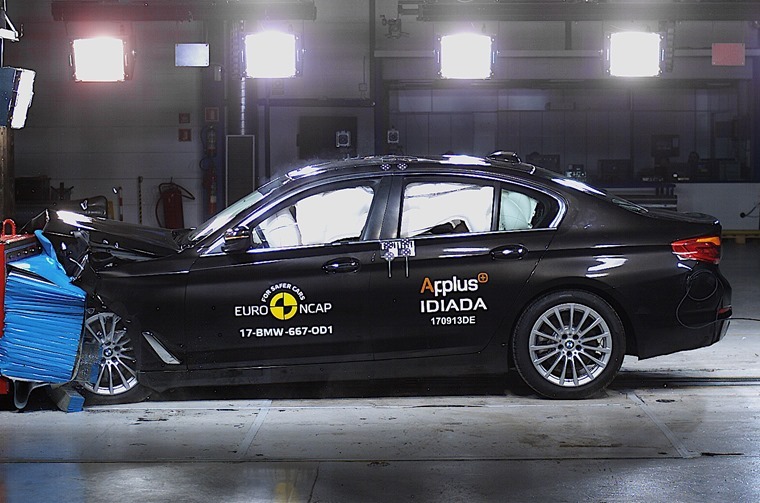 It’s all thanks to BMW’s standard autonomous braking system and the car’s new platform, both of which help protect occupants and avoid crashes in the first instance. A ‘Person Warning’ system and active bonnet tech means safety isn’t just limited to occupants too, with the car scoring 81% for pedestrian safety. 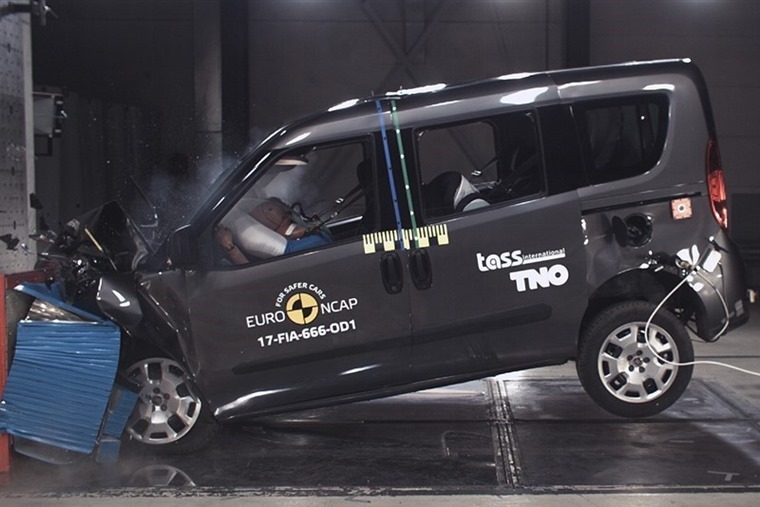 Euro NCAP also found time to test Fiat’s refreshed Doblo MPV, which managed to achieve a rather mediocre three stars. What are the safest new cars? It’s worth bearing in mind that the Doblo was introduced back in 2010, and was based on a van platform which has space in mind, rather than safety. Even so, crash testers commented that it highlights a “lack of ambition to compete on safety with other, more modern segment competitors”. The Doblo’s performance comes shortly after the Fiat 500 earned itself three stars too, with its older design not up to the standards some superminis are now offering. That said, an all-new 500 is expected in 2018 that should bring everything – including safety – up to date.